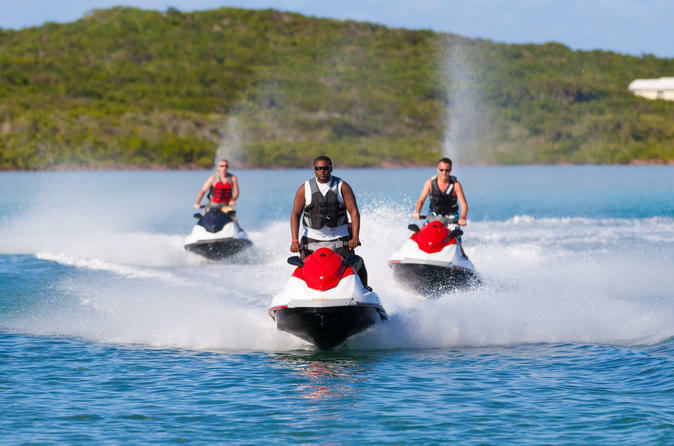 This Jet ski excursion lets you discover native wildlife as you race along the shores and dreamy blue waters around San Salvador. Get up close to the rare San Salvador rock iguana on Green Cay (a "Cay" is a small island) then shoot over to Catto Cay to witness a majestic seabird colony and more all in a 1 hour tour. 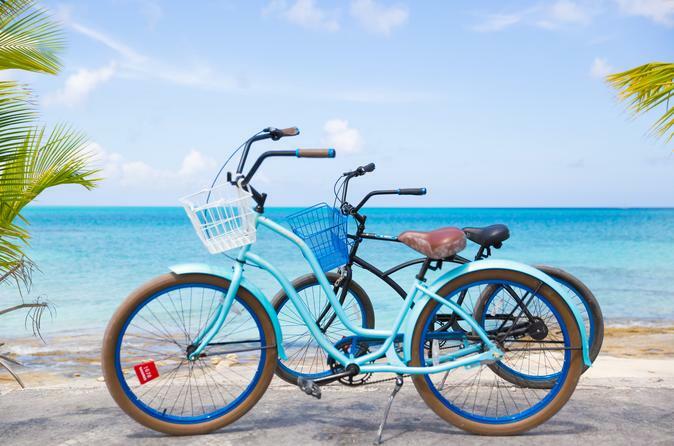 Or, if you dare, after Catto Cay, ride with your guide around the entire circumference of San Salvador visiting the always calm lagoon (a.k.a. Pigeon Creek), a pink sand beach and places around the island only few ever get to see. Embark on our High Cay excursion for one unforgettable day where you can cruise, snorkel, swim, eat, drink, and relax all on our very own private island for the day!! 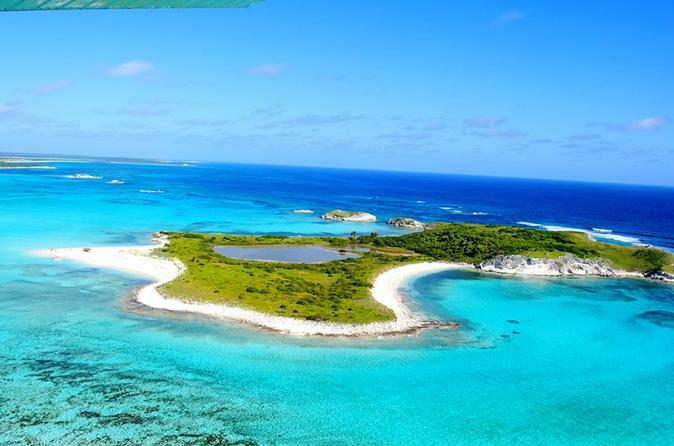 Sail south along the coast as Christopher Columbus did to undiscovered snorkel stops including Grotto Beach, The Reefs at High Cay and inside the Lagoon (a.k.a Pigeon Creek). Visit the lagoon to watch the stingrays, sharks, fish, turtles and starfish in their natural habitat. Finally, moor on High Cay, the private island where a signature Lobster lunch will be served. Leave your worries behind as you relax and unwind at Pigeon Creek, in the southeastern part of San Salvador, on this 3-hour tour. In a small group of no more than 10, cruise turquoise waters on a pontoon boat and observe turtles, rays, sharks, and tropical fishes in their natural habitat. Wade on the sand bank in search of starfish and conch, and snorkel the pristine reefs of High Cay. 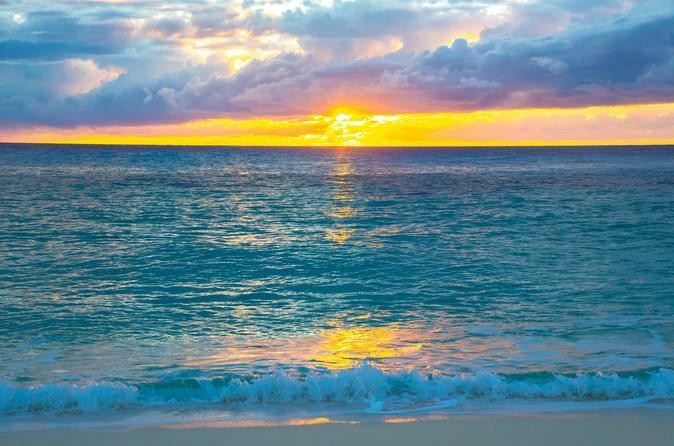 Watch the sun set over the turquoise waters of the Bahamas on a 90-minute sunset cruise from San Salvador. Snack on light refreshments of appetizers and rum punch, wine, or beer, while cruising along to a soundtrack of Caribbean music. It’s the perfect way to wind down the day and start the evening.